The following article is a sneak peek into our 375-hour Online Foraging Course: Edible and Medicinal Wild Herbs, which begins in early 2018! The course begins with the basic ground rules of foraging safety and ethics, and then moves on to botany and plant identification. Before you know it, you’ll have the skills and confidence to safely identify and harvest wild plants. 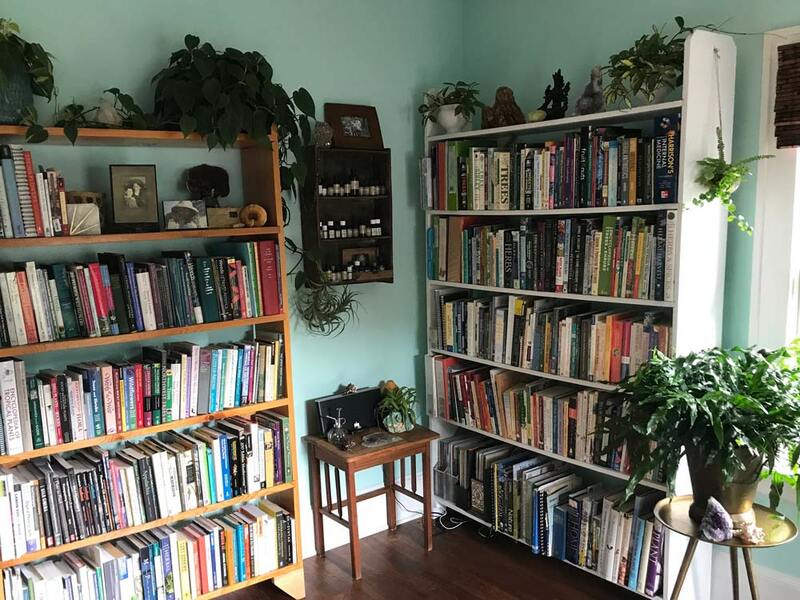 The books we feature are fairly specific; they dial in on bioregions throughout North America and are tailored to help you safely identify plants and forage wild food and medicine right where you live. 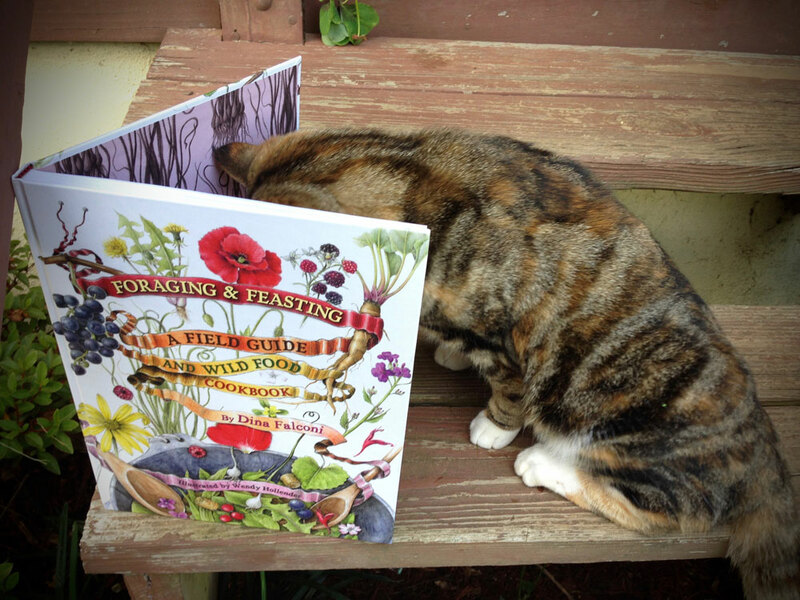 As a companion to this list, please check out The Ten Best Books on Foraging Wild Foods and Herbs, which is the field guide lowdown to our favorite general foraging books (which pertain to most of temperate North America and Eurasia). 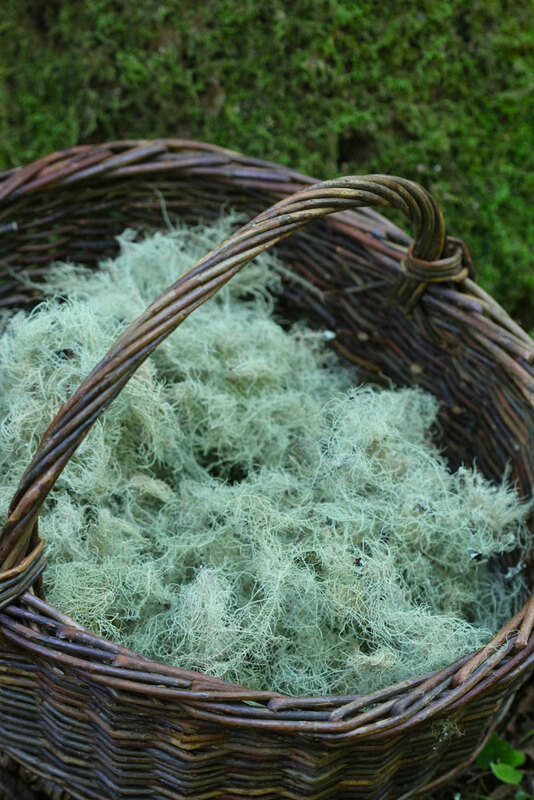 We highly recommend starting with our article Sustainably Foraging for Wild Edibles and Herbs. You’ll notice some general guides on botany and plant families at the beginning of this list. Understanding plant families—and how to identify them—is a huge first step for any forager or self-respecting plant nerd. And if all this merely whets your appetite, come join us for our Online Foraging Course: Edible and Medicinal Wild Herbs (releasing with the New Year 2018). We’ll give you all the tools you need to explore plant identification, wild food and medicine foraging, and the herbal uses of the most abundant and healing wild plants of the temperate world. Plus, we’ll share our very favorite culinary and medicinal recipes. On the other hand, if a more comprehensive course on DIY herbalism is up your alley, take a peek at our Online Herbal Immersion. In good conscience, we simply couldn’t list many popular wild food guides here, mostly because they do not emphasize poisonous look-alikes in their plant descriptions, which could mean fatal consequences for foragers using those books. If you think there’s a book that deserves to be mentioned but isn’t, please let us know—we’ll continue expanding this guide as new resources become available! I can’t wait to really dive into this book! Botany in a Day by Thomas J. Elpel. A botanical classic and best seller that has a place on every forager’s shelf. Elpel shares what he calls “The Patterns Method” of plant identification, a fast and easy way to begin recognizing the key traits of various plant families. This tutorial has helped more budding botanists, herbalists, and foragers than any other identification guide I know! Elpel also features descriptions of plant families throughout North America, along with profiles of notable members from each family, including comments on edible and medicinal uses. Highly recommended. Be sure to purchase the most recent edition. Flowering Plant Families of the World by V. H. Heywood. A beautiful book for the coffee table or reference library, this hardcover classic is filled with gorgeous, scientifically accurate illustrations and range maps for over five hundred plant families throughout the world. Make sure to purchase the 2007 edition. Photographic Atlas of Botany and Guide to Plant Identification by James Castern. Easy to read, with detailed color photographs that illustrate plant family characteristics, this guide is perfect for those who are really excited about botany and plant identification. The book is spiral-bound and quite hefty, so it’s more of a desk reference than an actual field guide. Some of the plant family classifications are out of date, but the general botany photos are still applicable, as is the bulk of the plant family photographs and descriptions. Plant Identification Terminology: An Illustrated Glossary by James Harris and Melinda Woolf Harris. An excellent reference for those studying botany or wanting to use technical keys in the field, this guide clearly illustrates nearly two thousand botanical terms! A Tour of the Flowering Plants by Priscilla Spears. Filled with high-quality color photographs, this is a wonderful reference for those who prefer visual learning. The author illustrates and explains over a hundred flowering plant families and includes a botanical glossary to help the beginner get started. The Boreal Herbal: Wild Food and Medicine Plants of the North by Beverley Gray. Part plant-identification guide, part food- and medicine-making manual, this book is a treasury of plants that grow throughout the north (and much of the temperate world). Excellent reading for beginners, experienced foragers, and anyone who loves herbs. Speaks to the heart and soul of wild food and herbal medicine. Features lots of photography and beautiful writing. Discovering Wild Plants: Alaska, Western Canada, the Northwest by Janice Schofield Eaton. This superb field guide covers 147 wild plants, detailing their identification, range, traditional and contemporary uses, and medicinal properties. Each plant is accompanied by photographs and line drawings. The book is currently out of print, making used copies a bit more expensive than other field guides, but it’s worth the splurge! The Jepson Manual: Vascular Plants of California, Second Edition edited by Bruce Baldwin et al. This is a hefty hardcover tome that covers both native and naturalized vascular plants throughout California. This is a technical key best suited to seasoned botanists; IT’S NOT A BEGINNER GUIDE! Unlike many technical keys, however, it features illustrations, and a new chapter on the vegetative history of California is included. 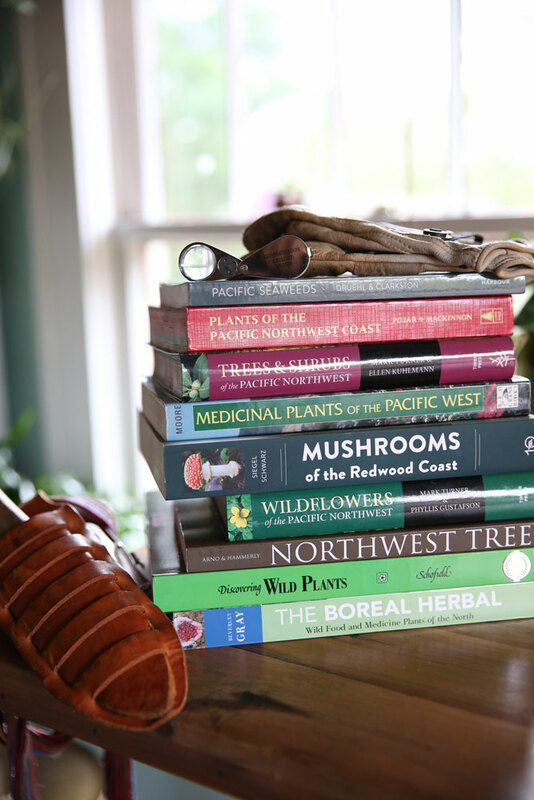 Medicinal Plants of the Pacific West by Michael Moore. One of several invaluable guides written by herbalist Michael Moore. This book covers plants ranging from Baja California to Alaska, featuring identification tips, medicinal uses, preparation, and contraindications for each herb—all infused with Moore’s characteristic wit and humor. Simple line drawings, maps, and some color photos are included throughout. Mushrooms of the Redwood Coast: A Comprehensive Guide to the Fungi of Coastal Northern California by Noah Siegel and Christian Schwarz. A gorgeous and trustworthy guide to the mushrooms of coastal California, from Monterey County to the Oregon border. Splendid photographs and thorough information on identification, edibility, and toxicity. Easy enough for beginners, detailed enough for experienced mushroom hunters. Northwest Trees: Identifying and Understanding the Region’s Native Trees by Stephen Arno. An easy-to-use guide with beautiful illustrations and species descriptions. Arno includes writings about the traditional uses of trees, ecology, as well as detailed descriptions, inviting the reader to slow down and take in each tree deeply. Highly recommended. This makes a good companion to a more traditional field identification guide for trees. Be sure to get the thirtieth-anniversary deluxe edition. Pacific Seaweeds: A Guide to Common Seaweeds of the West Coast by Louis Druehl and Bridgette Clarkston. A beautiful guide to Pacific seaweeds. It features color photos, nutritional information, and accessible recipes—like seaweed kimchi and kelp chips. A lightweight book perfect for foraging trips to the coast. Plants of the Pacific Northwest Coast, Washington, Oregon, British Columbia, and Alaska by Jim Pojar and Andy MacKinnon. This user-friendly field guide features nearly eight hundred species of plants commonly found along the Pacific coast—from Oregon to Alaska—including trees, shrubs, wildflowers, aquatic plants, grasses, ferns, mosses, and lichens. The book encompasses the entire coastal region, from shoreline to alpine, and the western Cascades. Perfect for the beginner and experienced forager. Trees and Shrubs of the Pacific Northwest by Mark Turner and Ellen Kuhlmann. This is Mark Turner’s companion guide to Wildflowers of the Pacific Northwest. It covers 568 species of woody plants throughout Oregon, Washington, British Columbia, and northern California with vivid color photographs, identifying characteristics, and range maps. This is an excellent book for beginners or those new to the region. Wildflowers of the Pacific Northwest by Mark Turner and Phyllis Gustafson. This colorful guide describes and illustrates 1,220 plant species that are common to the Pacific Northwest, from southern British Columbia to northern California, from the coast to the mountains and high desert. Plants featured include natives, nonnatives, perennials, annuals, and shrubs. Beautifully photographed, the book is small enough to carry in your backpack and is suitable for all experience levels. The Jepson Desert Manual: Vascular Plants of Southeastern California by Margriet Wetherwax. A comprehensive field guide focused exclusively on native and naturalized vascular plants of California’s southeastern deserts, including the Mojave Desert, Sonoran Desert, and southern Great Basin (including the White Mountains). This is a technical key, NOT A BEGINNER GUIDE! The New Wildcrafted Cuisine by Pascal Baudar. This is a truly groundbreaking book, with delectable imagery and recipes that push the edge of even wild cuisine (edible insects, for example). More cookbook than field guide, you’ll find a wealth of wild recipes arranged by foraging season. Most plants in the book can be found throughout the temperate world, but others are found only in Southern California and Mediterranean climates. This is a gorgeous book sure to spice up wild food conversation. Sierra Nevada Wildflowers: Including Yosemite, Sequoia, and Kings Canyon National Parks by Karen Wiese. A handy pocket guide meant to be used while plants are in flower. This is an accessible book for the novice botanist, and features easy-to-read descriptions and color photos, plus notes on range and bloom season. Trees and Shrubs of Nevada and Placer Counties, California by the Redbud Chapter of the California Native Plant Society. The arboreal companion to Wildflowers of Nevada and Placer Counties (see below). Equally charming. Wildflowers of Nevada and Placer Counties by the Redbud Chapter of the California Native Plant Society. A lovely little guide brimming with photos, brief ID descriptions, and plenty of interesting comments on ecological role. Edibility is briefly mentioned where applicable. Wildflowers of the Eastern Sierra and Adjoining Mojave Desert and Great Basin by Laird Blackwell. An easy-to-use pocket guide for identifying regional flowers and shrubs. Each plant description is accompanied by color photos and information on habitat, bloom season, and viewing locations. Common Southwestern Native Plants: An Identification Guide by Jack Carter, Martha Carter, and Donna Stevens. An easy to-use field guide with detailed line drawings and color photos that features both woody and herbaceous flowering plants. This book lives up to its name, introducing the most common species and not being thorough in its scope. Cooking the Wild Southwest: Delicious Recipes for Desert Plants by Carolyn Niethammer. A flavorful cookbook and field guide that features hand-drawn illustrations, identification tips, harvesting instructions, and 150 southwestern recipes. Ideal for foragers and cooks of all skill levels. Desert Wildflowers of North America by Ronald Taylor. A beautifully photographed pocket guide featuring range maps, descriptions, and commentary on the desert ecosystem. 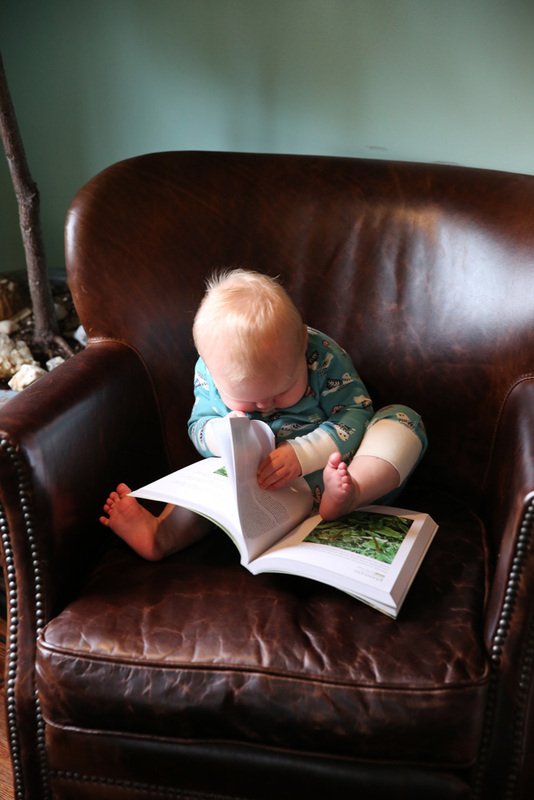 Geared toward amateur botanists. Food Plants of the Sonoran Desert by Wendy Hodgson. A beautiful and well-researched hardcover book featuring the traditional uses of nearly 540 edible plants. Includes wonderful black-and-white photos and gorgeous drawings throughout. More ethnobotanical in scope and less how-to guide. Best accompanied by a field guide. Medicinal Plants of the American Southwest by Charles Kane. Like Michael Moore’s books, this guide blends herbal materia medica with plant identification, making it very handy for medicinal foragers. Along with botanical descriptions and suggestions for collection and preparation, Kane shares medicinal indications, herbal precautions, and dosages. There is a centerfold of color photos. Medicinal Plants of the Desert and Canyon West: A Guide to Identifying, Preparing, and Using Traditional Medicinal Plants Found in the Deserts and Canyons of the West and Southwest by Michael Moore. A must-have guide for any herbalist or wild forager of the Southwest. Arranged alphabetically, the book features the medicinal plants of the region as well as simple line drawings and a centerfold of color photos. Excellent for both beginners and pros; features a therapeutic use index and a glossary to explain botanical and medical terminology. Medicinal Plants of the Mountain West (revised and expanded edition) by Michael Moore. One of the very best medicinal field guides for the region, this guide is highly relevant to New Mexico, Arizona, west Texas, Nevada, Utah, Colorado, and California. Moore writes with his characteristic dry humor but is completely thorough, discussing identification, range, medicinal use, preparation, and contraindications for each herb. The book features line drawings and a centerfold of color photographs and is light enough to easily carry into the field. Plants of Arizona by Anne Orth Epple. The only complete guide to the rich and unique flora of Arizona, featuring more than nine hundred full-color photographs and detailed descriptions of each plant. Also applicable to much of New Mexico. Be sure to get the latest edition, published in 2012. The Prickly Pear Cookbook by Carolyn Niethammer. A delightful cookbook devoted to one of the most treasured native foods of the Americas. Learn how to prep and cook the abundant prickly pear cactus. Southwest Foraging: 117 Wild and Flavorful Edibles from Barrel Cactus to Wild Oregano by John Slattery. Highly recommended for southwestern foragers. This guide is wonderfully accessible to all skill levels and features a range of nourishing edible plants, from wild greens to cacti. The book is filled with full-color photographs and detailed information on identification, harvesting, and preparation. Trees and Shrubs of New Mexico, Revised and Expanded by Jack L. Carter. Designed for use by both laypersons and plant scientists, this book includes illustrations, descriptions, distribution maps, and dichotomous keys for more than 430 native, naturalized, and cultivated trees, shrubs, and woody vines that are known to occur in New Mexico. A pictorial glossary provides much of the basic information needed to find the plants in question. A Guide to Plants of the Northern Chihuahuan Desert by Carolyn Dodson. This is a great book for beginning botanists or visitors exploring the region. Filled with photos, line drawings, and brief descriptions, it occasionally references edible and medicinal uses along with notes on toxicity. Mojave Desert Wildflowers by Jon Mark Stewart. Most notable for its gorgeous photos, this is very small guide that’s easy to tuck in your daypack. A handy reference for identifying desert wildflowers in bloom. Sonoran Desert Wildflowers by Richard Spellenberg. A light and handy guide to desert wildflowers (best used when plants are in bloom). Spellenberg shares brief plant descriptions, comments on ecological roles, and wee mentions on edible uses. Lovely photos throughout. Trees of Western North America: Princeton Field Guides by Richard Spellenberg, Christopher Earle, and Gil Nelson. A comprehensive and illustrated guide that covers 630 species of native and naturalized trees in the western United States and Canada as far east as the Great Plains. Features color illustrations and range maps. Small enough to put in your backpack. Weeds of the West, Revised Edition published by University of Wyoming with multiple authors. A pictorial and descriptive identification guide for wild western weeds that shows the plants throughout their life cycle. A very useful reference, but a bit “down” on weeds in general—talks about spraying, eradicating, etc. Western Trees by George Petrides and Olivia Petrides. A pocket field guide in the Peterson Field Guides tradition, with color drawings, photos, range maps, and identifying descriptions. Occasional, brief references to indigenous uses. One of the best Peterson Field Guides on plants. I can’t find the catnip entry in the darned index! The Boreal Herbal: Wild Food and Medicine Plants of the North by Beverley Gray. Part plant-identification guide, part food- and medicine-making manual, this book is a treasury of plants that grow throughout the north (and much of the temperate world). Excellent reading for beginners, experienced foragers, and anyone who loves herbs. Speaks to the heart and soul of wild food and herbal medicine. Features lots of photography and beautiful writing. Especially relevant to the northern Rockies. Handbook of Rocky Mountain Plants by Ruth Ashton Nelson. This book comprises fairly technical keys for wildflower identification and includes over 350 black-and-white illustrations. Small enough to take into the field; recommended for more experienced botanists and foragers. Medicinal Plants of the Mountain West (the revised and expanded edition) by Michael Moore. One of the very best medicinal field guides for the region—highly relevant to New Mexico, Arizona, west Texas, Nevada, Utah, Colorado, and California. Moore’s entertaining and completely thorough writing discusses identification, range, medicinal use, preparation, and contraindications for each herb. The book features line drawings and a centerfold of color photographs, and it’s is light enough to carry into the field. Plants of the Rocky Mountains: Lone Pine Field Guide by Linda Kershaw, Andy MacKinnon, and Jim Pojar. Over thirteen hundred species of trees, shrubs, wildflowers, grasses, ferns, mosses, and lichens are described and illustrated. The authors include notes on origin of name, ecology, native uses, edibility, and similar species. The book also features color-coded sections to allow for quick reference. Perfect for all skill levels. Wild About Wildflowers: Extreme Botanizing in Crested Butte, Wildflower Capital of Colorado by Katherine Darrow. Applicable to the central and southern Rockies, filled with beautiful photos, identification tips, folklore, ecology, and occasional references to edible and medicinal uses. A useful pocket guide organized by plant family. 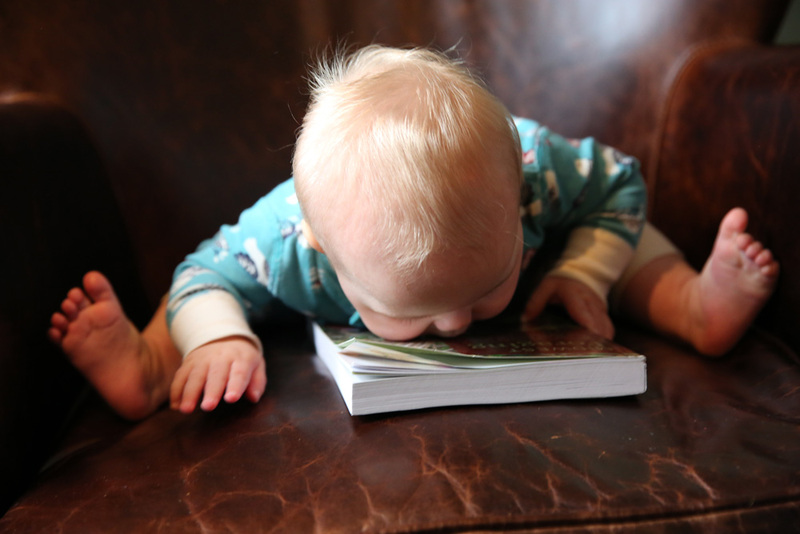 Does this book taste as good as it looks? Edible Wild Plants of the Prairie: An Ethnobotanical Guide by Kelly Kindscher. A companion guide to Medicinal Wild Plants of the Prairie: An Ethnobotanical Guide (see below) that merges historical and modern knowledge of the wild food plants of the prairie. Medicinal Wild Plants of the Prairie: An Ethnobotanical Guide by Kelly Kindscher. An interesting guide for those who enjoy plant history; includes Native American uses, modern medicinal uses, cultivation, and identification characteristics. Black-and-white drawings and range maps accompany each plant. Includes common and traditional names. Newcomb’s Wildflower Guide by Lawrence Newcomb. Lawrence Newcomb’s system of wildflower identification is based on natural structural features that are easily visible to the untrained eye, enabling amateurs and experts alike to identify almost any wildflower quickly and accurately. This is a great first field guide for beginners and is small enough to fit in a very big pocket. More applicable to the eastern portion of the Midwest. Trees of Eastern North America (A Princeton Field Guide) by Gil Nelson, Christopher Earle, and Richard Spellenberg. Illustrated and comprehensive, this field guide uses a simple botanical key. The book covers 825 species, including all the native and naturalized trees of the eastern United States and Canada as far west as the Great Plains, with mention of those species found only in tropical and subtropical Florida and northernmost Canada. Somewhat heavy, but small enough to tote into the field. Wildflowers of Tennessee, the Ohio Valley, and the Southern Appalachians by Dennis Horn, David Duhl, and Tavia Cathcart. An excellent color photo guide that is tailored to the layperson. This book includes a few botanical keys as well as some edible/herbal tidbits, a little ecology, and the etymology of plant names. More applicable to the eastern portion of the Midwest. 100 Edible Mushrooms by Michael Kuo. Engaging to read, Kuo’s book features a hundred of the most common edible mushrooms and includes color photos, edibility ratings, descriptions, poisonous relatives and look-alikes, and a recipe section in the back of the book. Not exactly a pocket guide, but small enough to accompany you into the field. 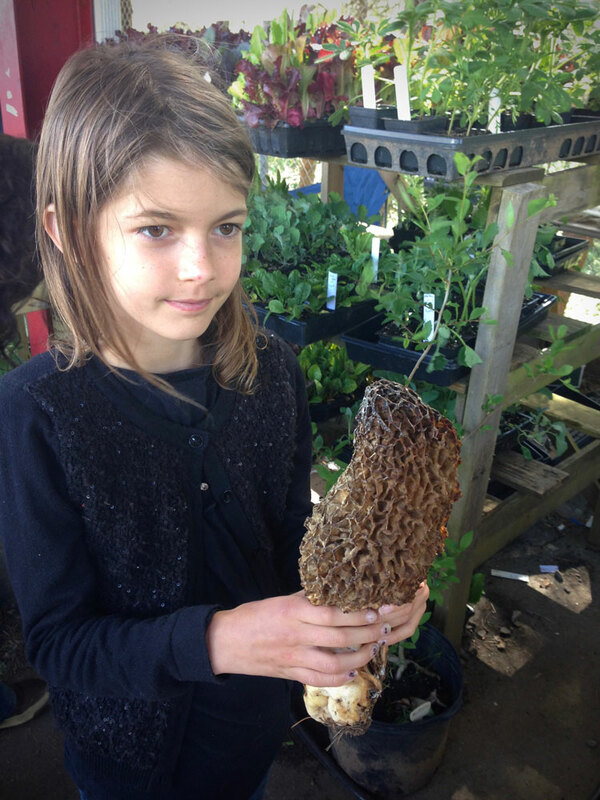 Juliet’s favorite book on wild mushrooms for beginners. 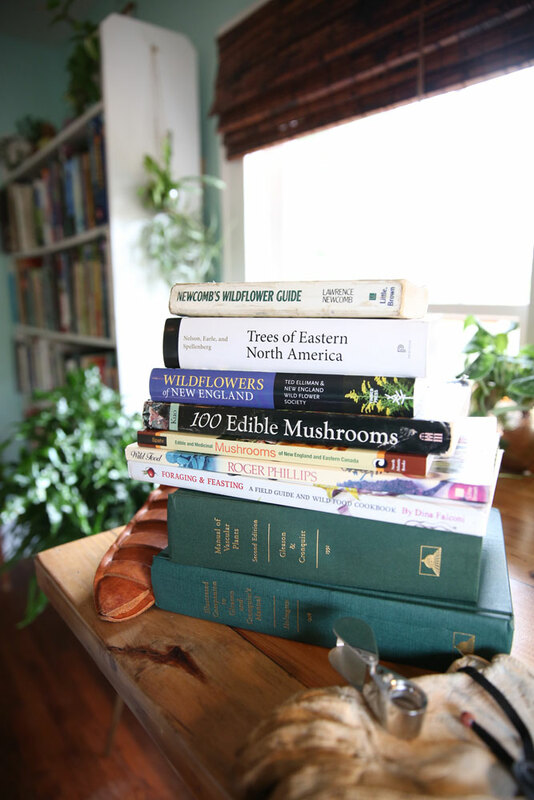 Edible and Medicinal Mushrooms of New England and Eastern Canada by David Spahr. Filled with beautiful photos, this guide features easy-to-read descriptions of the Northeast’s most common medicinal and edible mushrooms. Includes harvesting and preparation suggestions. Manual of Vascular Plants of Northeastern United States and Adjacent Canada by Henry Gleason and Arthur Cronquist. A technical flora geared toward the experienced botanist or dedicated beginner. This is a technical key, NOT A BEGINNER GUIDE! Uniquely accompanied by a separate illustrated manual, which we recommend as a complementary resource: Illustrated Companion to Gleason and Cronquist’s Manual by Noel Holmgren. Newcomb’s Wildflower Guide by Lawrence Newcomb. Lawrence Newcomb’s system of wildflower identification is based on natural structural features that are easily visible to the untrained eye, enabling amateurs and experts alike to identify almost any wildflower quickly and accurately. This is a great first field guide for beginners and is small enough to fit in a very big pocket. The Smithsonian Guide to Seaside Plants of the Gulf and Atlantic Coasts, from Louisiana to Massachusetts, Exclusive of Lower Peninsular Florida by Wilbur Duncan and Marion Duncan. Includes nearly one thousand species of wildflowers, trees, shrubs, grasses, rushes, and sedges. A tad outdated at this point—especially the plant family designations—but still a good primer on the most common plants of the Gulf and coasts. Wildflowers of New England by Ted Elliman and the New England Wildflower Society. A field guide that features a straightforward key for identifying over a thousand wildflowers throughout all six New England states. Each plant is accompanied by brief descriptions and a color photo. Pocket sized. A Field Guide to the Trees and Shrubs of the Southern Appalachians by Robert E. Swanson. A detailed field guide compiled by the authors over a decade of hiking through the region. Covers 280 species of trees, shrubs, and woody vines in a range of ecosystems. Applicable to the Carolinas, Georgia, and eastern Tennessee (including Great Smoky Mountains National Park). Features illustrated keys that can be used in all four seasons. Flora of the Southern and Mid-Atlantic States by Alan Weakley. This is a technical flora (not for beginners; this is VERY technical) of the Southeast available for purchase as a print copy or free PDF from the UNC Herbarium. This is a weighty book and not easy to carry into the field. Florida Ethnobotany by Daniel Austin. Nearly a thousand pages on the traditional and indigenous uses of southeastern herbs—medicines, dye and fiber plants, foods, and mystical tools. Includes line drawings and a selection of color plates. On the expensive side, but this book is worth the splurge if you live in Florida and are into bioregional herbs! 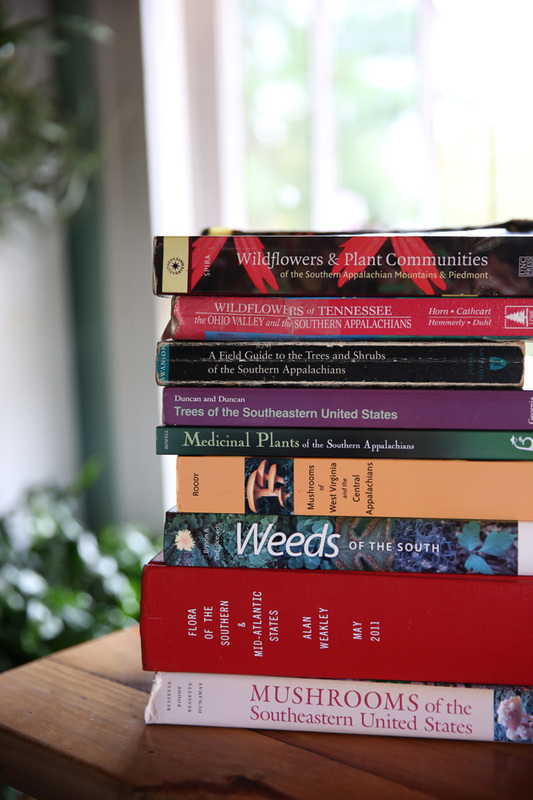 Medicinal Plants of the Southern Appalachians by Patricia Kyritsi Howell. An introductory medicinal guide written by a knowledgeable Southern herbalist. Herbal descriptions feature both traditional and modern medicinal uses, general ID, habitat descriptions, harvesting and preparation suggestions, dosage, and a sprinkling of recipes. No photos, and should be accompanied by a more detailed field guide for foraging. Mushrooms of the Southeastern United States by Alan Bessette, William Roody, Arleen Bessette, and Dail Dunaway. A descriptive guide to the fungi of the Southeast, featuring ID characteristics, color photos, and comments on edibility. Simple enough to be used by any forager, this book has some extra features that make it appealing for more advanced mycologists (such as photos of microscope slides). Mushrooms of West Virginia and the Central Appalachians by William Roody. A fantastic guide for Appalachian mushroom foragers. Includes detailed descriptions, notes on edibility, and vibrant color photographs. Small enough to be carried by hand in the field. Highly recommended for both novice mushroom hunters and experienced foragers. A Reference Guide to Medicinal Plants: Herbal Medicine Past and Present by John Crellin and Jane Philpott. Based on the teachings of southern folk herbalist Tommie Bass, this guide is a treasury of old-timey herbal wisdom and little-used local medicinals. 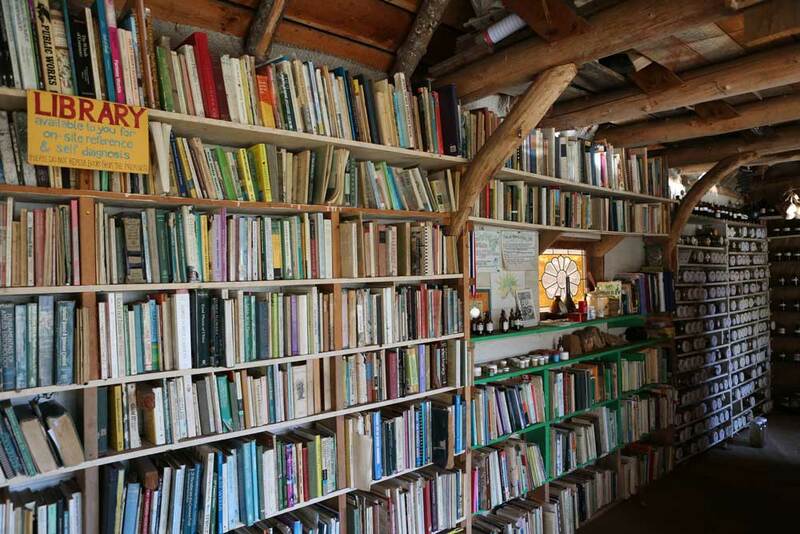 Featuring over seven hundred plants, the book blends folk wisdom with modern scientific research. An excellent reference for those interested in the historical uses of herbs. Trees of the Southeastern United States by Wilbur Duncan and Marion Duncan. This field guide features excellent keys, species descriptions, ecological ranges, and color photos. It’s midlevel to technical and very comprehensive. The guide treats more than three hundred species—every one known to occur in the region—from the Coastal Plain to the highest elevations. Included are trees native to the region as well as those introduced and now reproducing. Weeds of the South by Charles Bryson and Michael DeFelice. A guide to four hundred of the most common weeds of the southern United States, featuring range maps, color photos, and handy descriptions of both seedlings and mature plants. Includes notes on toxicity and habitat, but there is no medicinal or edible information. The authors label weeds as “troublesome,” so don’t expect a plant-positive experience (but we still think it’s a handy guide)! More of a desk reference in size. Wildflowers and Plant Communities of the Southern Appalachian Mountains and Piedmont by Timothy Spira. A unique field guide! Rather than organizing plants by flower color or family characteristics, as most guidebooks do, botanist Tim Spira takes a holistic, ecological approach and organizes plants on the basis of their natural communities in the wild. His beautifully photographed book includes trees, shrubs, and herbaceous plants. Not quite pocket-sized, but it’s still small enough to slip into your daypack. Wildflowers of Tennessee, the Ohio Valley, and the Southern Appalachians by Dennis Horn, David Duhl, and Tavia Cathcart. An excellent and comprehensive color photo guide that is tailored to the layperson. This book includes a few botanical keys as well as some edible/herbal tidbits, a little ecology, and the etymology of plant names. The book is most specific to Tennessee but is applicable to most southern and mid-Atlantic states. 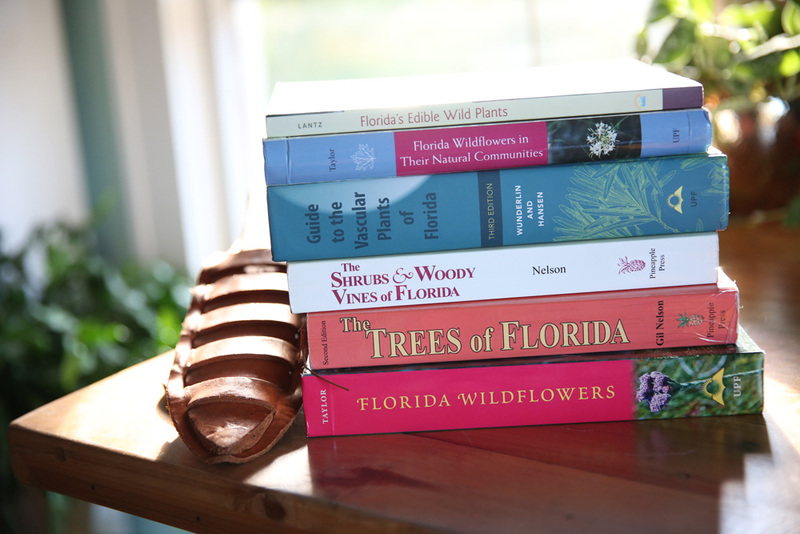 Florida Wildflowers, a Comprehensive Guide by Walter Kingsley Taylor. A colorful field guide that discusses plant description, time of flowering, habitat, and Florida distribution. Often includes comments on related species, etymology, and even culinary, medicinal, and landscape uses. Features bright photography. Florida Wildflowers in Their Natural Communities by Walter Kingsley Taylor. A unique field guide that features plants and their ecological communities. The book is filled with color photos and botanical descriptions that are accessible for both amateurs and more experienced botanists. Florida’s Edible Wild Plants: A Guide to Collecting and Cooking by Peggy Sias Lantz. An easy-to-read guide to the edible plants of Florida, including their uses, basic identification traits, drawings, photographs, and recipes. A more detailed field guide should be used as a companion to properly ID plants. Guide to the Vascular Plants of Florida, Third Edition by Richard Wunderlin and Bruce Hansen. This is a very technical key tailored to the experienced botanist; NOT recommended for beginners. The Shrubs and Woody Vines of Florida: A Reference and Field Guide by Gil Nelson. A companion guide to the Trees of Florida, this book is written to help you identify plants in the field—you won’t find any edible or medicinal information. Easy to use, with simple line drawings and color photos. A bit on the technical side for absolute newcomers. The Trees of Florida: A Reference and Field Guide, Second Edition by Gil Nelson. A comprehensive guide to Florida’s amazing variety of tree species. There are nearly six hundred color photographs and many drawings and range maps. And now included is a key to tree families that will help with field identification. A bit on the technical side for absolute newcomers. Previous Post Previous post: Why to Scrap your Tongue with Copper?